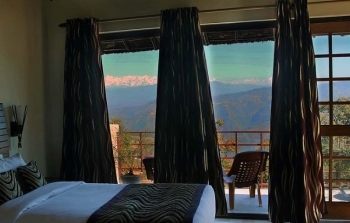 Hotel Essence of Nature is a luxury boutique property in Ranikhet. The hotel is deligently conceived to naturally cleanse its guests mind body and soul. Be it the air one breathe, the food one consume, the water one drink, or the views you percieve, here, every facet of guests well being is taken care of. Thus making vacations an unforgettable experience with the help of state-of-the-art luxurious amenities that have been incorporated in the project just for the guests delight. 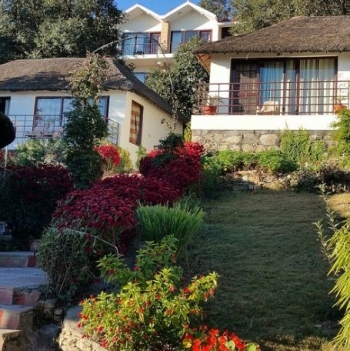 The property is located on midway to Corbett at Village Micholi of Tehsil Bhikyasen, Ranikhet in district Almora in Kumaon region of Uttarakhand. The significant landmark, Bhona Devi Mandir (Approx. 0.1km) is located nearby famous tourist spots are Corbett National Park (48 Kms), Ranikhet (40 Kms), Nainital (69 Kms) , etc. Holistic wellbeing is a state where the mind, body and soul are at complete ease and harmony. To put the mind of the guests at ease the resort provides Deluxe and Super deluxe cottages with all modern amenities and facilities. The resort provides finest cuisines from across the globe prepared using the purest organic ingredients by chefs trained at IHM and Five Star hotels.All ingredients, organic vegetables and dairy products are produced from in-house facilities to make the food finger licking good. - Parking space, doctor on call, restaurant, etc. The resort offers number of cottages with modern luxury facilities ranging from Rs 4,674/- to Rs 8,849/- . The resort is well connected by motorable road links to Delhi (310 Kms), Dehradun (510 Kms), Haldwani (110 Kms) and other major towns of the state and region through private or roadway buses and taxies. Nearest airport is at Pantnagar which is 153 Kms from Resort, taxies and buses can boarded from there to the resort. Nearest railway station is at Kathgodam which is 102 Kms from resort.